Real plastinated anatomical section – Outlet Plastinate: Fascinating insights into the anatomy for an incredible price. Real anatomical slice. Thickness of the plastinates is appr. 0,2 – 0,5 cm. Check the cm-ruler in the picture to estimate the complete size of the plastinate. 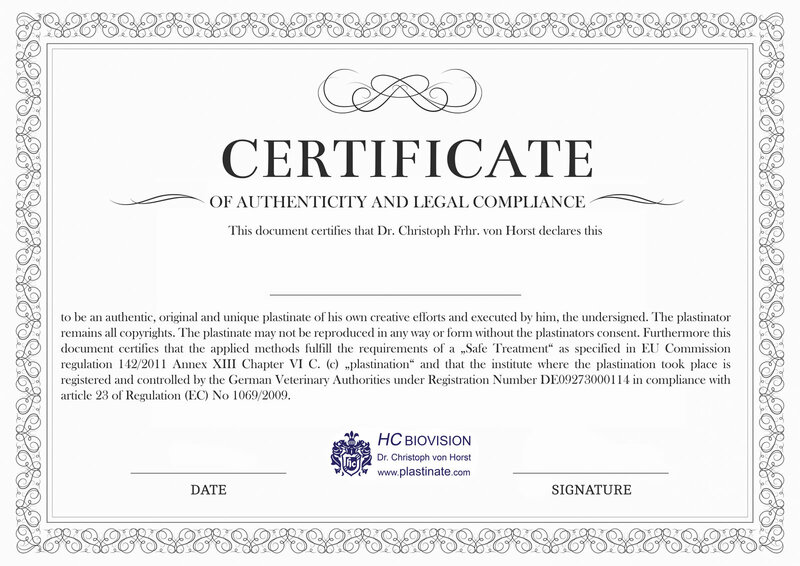 The plastinate comes with a certificate as shown below and a short description, date and signature filled in. Acrylic stands which might be visible in the images are not included in the offer.